Your email list won’t grow on its own. Find out why it’s good practice to prune your list for high quality growth and follow our simple 4-step guide. Did you watch this month’s Content Kitchen video What’s the best way to grow my audience online? If you did, then you’ll know that email marketing is still by far the best way to grow your audience – in fact, it’s almost 40 times more effective than Facebook and Twitter combined (McKinsey & Co). But your email list can’t grow on its own. As well as giving away lead magnets, writing great email subject lines and creating awesome images for your campaigns, your email list also needs a bit of care and attention from time to time – we call this pruning. You’re probably aware that many people frequently change their email address. They want different addresses for different purposes, they might be assigned a new account by their work or for a new project they’re involved with, or their account might have been hacked and they need to close it down and start again. With all these different email addresses flying around it’s no wonder people forget to check them all, forget what they’ve signed up to, and don’t always remember to unsubscribe from mailing lists that no longer interest them. And to add insult to injury, Gmail’s tabbed inbox tries to filter out email marketing into the Promotions tab – making email marketing engagement just that little bit harder. So you need to periodically prune your email list to improve your open and click-through rates. Just as you need to remove the dead wood from a tree to help it grow, you also need to remove the ‘dead’ subscribers from your email list to keep your delivery rate high. Wondering what a high delivery rate is? As a benchmark, at Wildheart we get average open rates of around 50% and click-through rates of around 15% – these are both very good figures to aim for. But surely the bigger the list, the better? Actually, no. When it comes to both your email list and your web traffic, quality is far more important than quantity. When it comes to your email list, quality is far more important than quantity. There’s no point having subscribers on your list if they’re not opening any of your emails. You need people to be engaging with your content, otherwise why email them? Pruning your list will slow down its growth but it will also refine it. So, just like focussing on helping the healthy branches of the tree to grow stronger, you’re focussing only on your engaged audience so that you’re marketing to people who are actually interested in what you have to say. So, how big should your list be before pruning? We would recommend starting to prune your email list when you have around 1,000-1,500 subscribers. So, how do you go about pruning your list? Simply follow our 4-step guide below. The first thing you should do before carrying out any list maintenance is to make a backup of your entire list. That way, if anything goes wrong, you still have the original data on file. 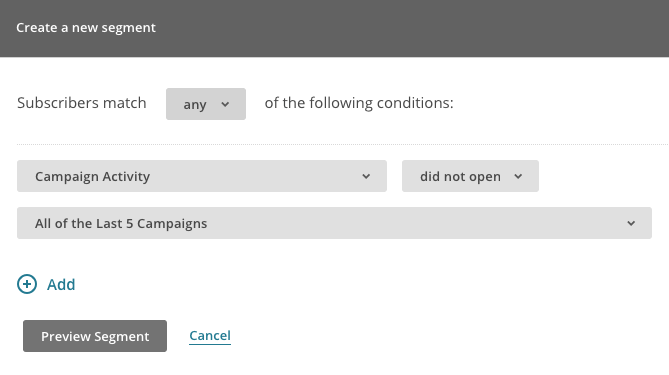 Login to your MailChimp account, go to Lists and select your main mailing list. MailChimp will let you know once the export is ready and you can then download it as a csv file. Next, you need to create a segment of the subscribers you want to prune. As a guide, we would suggest you remove all subscribers who haven’t opened your last 5 campaigns. Not opening 1 or 2 might mean they were away or very busy, but not opening the last 5 indicates they’re no longer interested in your content. 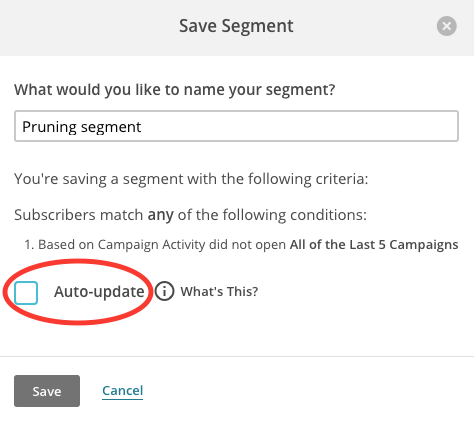 From the list page in MailChimp select Manage subscribers, then Segments. Click Create Segment and you’ll be shown a number of options in dropdown lists. You can then preview your segment to see how many subscribers it contains. Again, it’s a good idea to create a backup of your new segment before you completely delete these subscribers from your list. 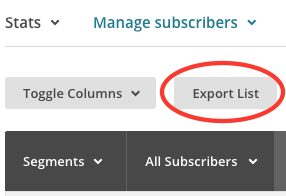 From your segmented list, just click Export Segment and follow the instructions as you did for exporting your list. 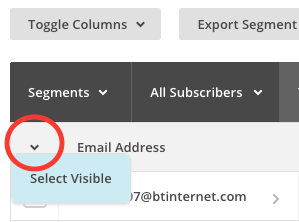 Go into your segmented list (Manage subscribers > Segments > select segment). Scroll to the bottom and change the view to 100 per page. This will select all the subscribers on the page and you can now click the Delete button which will have appeared above the dark grey toolbar. Repeat this process, deleting each page of 100 subscribers at a time, until the entire segment has gone. And, hey presto, you’ve pruned your list! Don’t worry! As long you’ve exported both your original list and your segment, you’ll be able to restore these to how they were by going to Add subscribers > Import subscribers and re-uploading the csv file. 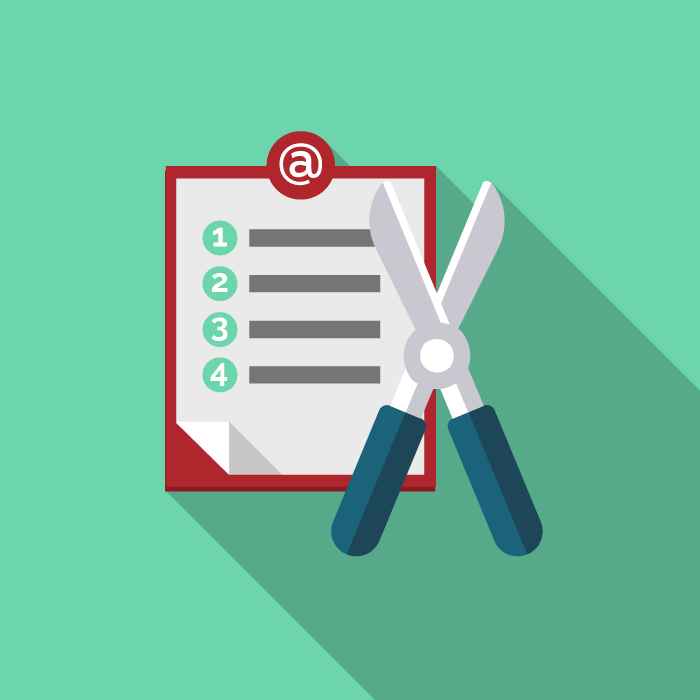 How often should you prune your email list? your open and click-through rates. If you send monthly emails and your average open rate is less than 40% then we’d suggest it’s time to prune. On average, most people should prune their list once or twice a year. If you send monthly emails and your average open rate is less than 40%, then it’s time to prune! As part of our Email Marketing package we’ll review your existing mailing list and carry out any required pruning and other maintenance to keep your delivery rate as high as possible. So you can rest safe in the knowledge that your list will gain long-term growth with an audience that’s actually engaged in your content. The next stage in maintaining your email list is more detailed segmenting – so that you can send targeted emails to sections of your audience who’ve expressed an interest in specific topics. This results in even better audience engagement, and therefore raises the quality of your list even further. In our follow-up post we’ll be sharing how you can nurture your community by segmenting your email list, so keep an eye on our content marketing blog. Better still, why not sign up to our mailing list? You’ll get a series of 9 curated emails packed with everything you need to know to grow your business with content marketing, followed by our regular blog posts as soon as they’re published on our website. The GDPR (General Data Protection Regulation) is a great opportunity to do some all-important pruning of your email list. Read our article GDPR and email marketing: What you need to know to find out more. 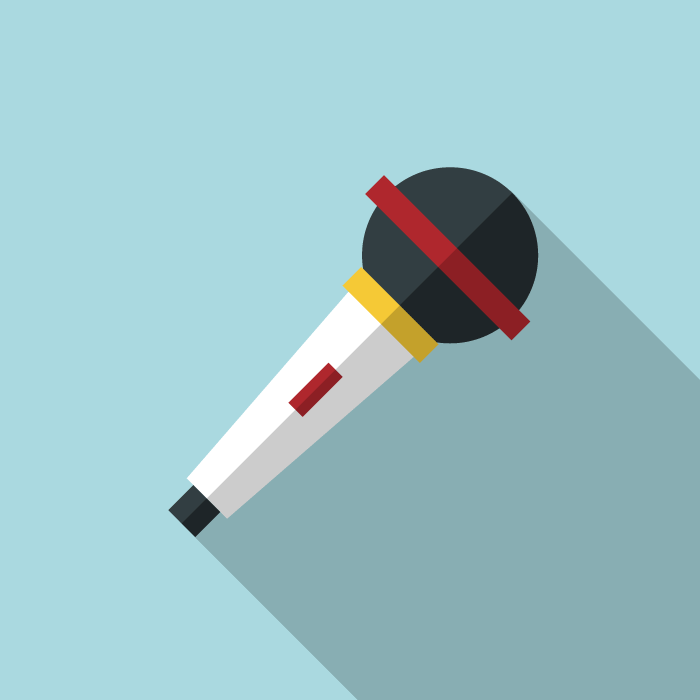 « Content Kitchen 8: What’s the best way to grow my audience online?